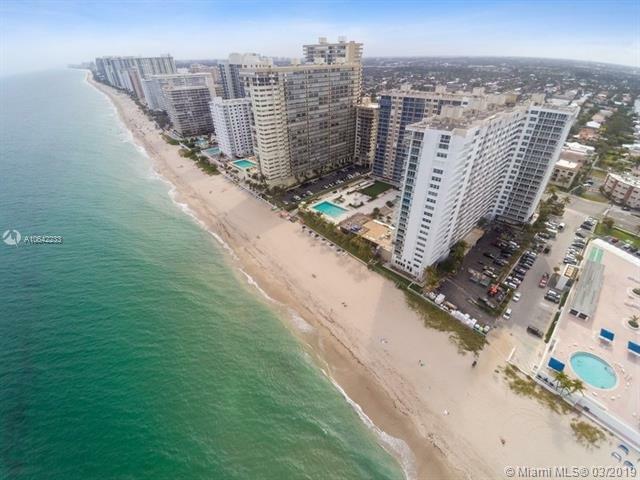 EXTRAORDINARY DIRECT OCEAN VIEWS FROM THIS OVERSIZED, 2 BED/2BATH CONDO ON THE SAND! WATCH THE BOATS WHILE YOU HAVE BREAKFAST IN YOUR EAT-IN KITCHEN, ENJOY IT WHILE SITTING IN YOUR LIVING ROOM/DINING ROOM OR ON THE TERRACE! FROM THE BEDROOMS, SEE THE INTRACOASTAL. BRIGHT AND SUNNY AND PRICED WELL BELOW MOST OTHER CONDOS IN PLAZA EAST.SEMI-PRIVATE ELEVATOR LOBBY,FITNESS ROOM,SAUNAS,HEATED POOL, 24 HR SECURITY,VALET AND GARAGE PARKING.BRING YOUR DESIGNER AND MAKE THIS YOUR HOME IN PARADISE!